While talking recently with Empire, Benedict Cumberbatch confirmed that the next time we will see him as Doctor Strange will be in “Avengers: Infinity War”. For most fans, that was kind of a given, but it’s always nice to hear a bit of confirmation from the actor. One thing that we know for certain is that “Avengers: Infinity War” is going to have a lot of heroes in it. Although we really dont have official confirmation from Marvel as to which heroes will make the cut, information is starting to slip and I have come up with some very possible candidates as well. The Avengers: Captain America (Chris Evans), Iron Man (Robert Downey Jr.), Thor (Chris Hemsworth), The Hulk (Mark Ruffalo), Black Widow (Scarlet Johansson), Hawkeye (Jeremy Renner) The Scarlet Witch (Elizabeth Olsen), Vision (Paul Betteny), Falcon (Anthony Mackie) and War Machine (Don Chedale). From this current roster, I would have to say that all of these characters should return with a few possible exceptions. War Machine – James Rhodes was severely paralyzed in “Captain America: Civil War” and although he was shown learning to walk with the aid of Tony and some advanced technology, I just dont see him coming back. Thor – We dont know for sure what will happen during the events of “Thor Ragnarok”. For all we know, Thor may not make it out of this one alive. That was Thor’s fate in the comic book adaption. But this movie also appears to be very “loosely” based on that adaption, so I think Thor will somehow make it back in time for Infinity War or the sequel. The Hulk – Hulk will be joining Thor in “Thor Ragnarok”. How he gets there and if he makes it out alive, or even wants to come back, is something we are going to have to wait and see. It appeared that after “Age Of Ultron”, The Hulk felt that he did more harm than good for The Avengers and went his separate ways. If he is joining Thor in Ragnarok, then he is not in this galaxy anymore and it is possible that this could lead to a “Planet Hulk” movie. The Guardians Of The Galaxy: Peter Quill/Star-Lord (Chris Pratt), Gamora (Zoe Saldana) , Drax the Destroyer (Dave Bautista), Groot (Vin Diesel) and Rocket Raccoon (Bradley Cooper). Vin Diesel recently let it slip recently that The Guardians Of The Galaxy will be joining the Avengers in “Avengers: Infinity War”. Diesel said, “Now, the Guardians will be included in “Avengers: Infinity War” and that’s incredibly exciting.” It’s a pretty good bet that this will happen even though Marvel hasn’t said anything. But which Guardians? Will it include the newest members that will appear in “Guardians Of The Galaxy Vol. 2”? The newest members are Nebula (Karen Gillan), Yondu (Michael Rooker) and Mantis (Pom Klementieff). Again, we wont know for sure what will happen until we see “Guardians Of The Galaxy Vol. 2”, but I’m pretty sure we can expect all those that survive and maybe those that dont. Spider-Man – Marvel and Disney entered into a mutually beneficial agreement that brought Spider-Man (Tom Holland) into the MCU in “Captain America: Civil War” and we will also be seeing Iron Man in “Spider-Man” Homecoming”. I think it is a safer bet that Spider-Man will be in “Infinity War” more so than The Guardians. Marvel has been dying to get Spider-Man in the MCU and now that they have him, “Infinity War” has to be his next movie after “Homecoming”. Doctor Strange – If Benedict Cumberbatch says it, I believe him. Cumberbatch said the following in Empire, “The logistical challenge of aligning (his) schedule with those of Robert Downey Jr, Chris Hemsworth, Elizabeth Olsen and Paul Bettany. To get us all together will be quite something. That’s why this character is being introduced, to open up the next chapter.” We are going to have to wait and see just how powerful Doctor Strange will be when he debuts in his own movie this November but I have a feeling he can be a real game changer. And I wouldn’t be surprised if Doctor Strange is in possession of one of the yet to be found Infinity Stones. Black Panther – I’d be really surprised if we dont see Black Panther (Chadwick Boseman) join the Avengers for “Infinity War”. He demonstrated in “Civil War” just how skillful and powerful he was and in the comics he eventually becomes an Avenger. The only tricky thing is “Infinity War” comes out in May of 2018 and “The Black Panther” comes out in July 2018. I would have liked to have seen “The Black Panther” solo movie first before “Infinity War” so that we could get proper development of his character. The Winter Soldier – If the Black Panther makes an appearance, I am sure that Winter Soldier (Sebastian Stan) will be joining him too. When last we saw the Winter Soldier in “Civil War” he was left under the care of The Black Panther and put into cryosleep with hope that the scientists of Wakanda could help find a cure for the trigger words that result in Bucky becoming a killing machine for HYDRA. Captain Marvel – Brie Larson has been officially cast as “Captain Marvel” but the solo “Captain Marvel” movie does not come out until May 2019, which is a full year after “Infinity War”. Out of all of the questionable heroes, I would say that The Avengers can use her cosmic powers the most, especially when battling against Thanos. Both Spider-Man and Black Panther made their MCU debuts before their own solo movies, so it is possible. The Netflix Marvel Heroes – This movie is definitely getting pretty crowded now but most fans would love to see as many Marvel heroes as possible. We have Daredevil (Charlie Cox) , Luke Cage (Mike Colter), Jessica Jones (Krysten Ritter), Iron Fist (Finn Jones) and The Punisher (Jon Bernthal). And I guess you can throw in Elektra (Elodie Young) too. Although Marvel has hinted that they would prefer keeping those character separate, anything is possible. The Russo brothers even said they were open to the idea. But kind of a long shot. Ghost Rider – Ghost Rider (Gabriel Luna) recently made his debut on “Marvel’s Agents Of SHIELD”. There was a time in the comics where he was a pretty big presence in the Marvel Universe but after two failed movies, he faded out of existence. With Marvel getting the rights back from Sony, they are trying to slowly bring him back into the public eye, like what they did with Daredevil and The Punisher. Definitely a long shot but you never know. The odds of having all of these characters in “Infinity War” are very very high. Now that “Infinity War” will not be a two part movie, it makes the chances even worse. I still have no idea how they are going to be able to lump this story into just one movie. Knowing Disney, they are going to want this movie to come in under 3 hours and I am guessing we will be looking at a 2 hours and 45 minute run time. First of all, Thanos has to acquire all of the Infinity Stones. Right now Thanos has a total of zero, he just has the Gauntlet (or glove that holds them). These Stones are all over the place and two still haven’t been found yet! The Avengers also have to reassemble after the events of “Civil War”. As far as we know, Captain America is no longer Captain America after dropping his shield at the end of the movie. We have no idea what is going to happen with Thor Ragnarok or Guardians Of The Galaxy yet. All of the heroes have to come together and Thanos has to be defeated. That is a lot to squeeze into one movie. Grant it, Marvel never really follows the original comic book stories to the key in their movies. What we know is that the next movie will be called “Avengers: Infinity War” and it will be a stand alone movie. I wish they would have just left it at a two part movie, have the first one called “Infinity Gauntlet” and the second one called “Infinity War”. I will admit that I had doubts that one movie would be enough for the “Civil War” comic book adaption in “Captain America: Civil War” but Marvel proved me wrong. I was kind of optimistic in the beginning of the year that Fox was going to follow Sony’s lead and work with Marvel in which the sharing of their characters would mutually benefit both studios, but now I am not as optimistic. I did begin to see signs of a possible agreement coming and some possible ice breaking but looks like things are getting cold again..
Marvel allowed Fox to use some of their X-Men characters to be seen in two future X-Men spinoff television series. Fox has the movie rights but still needed Marvel to sign off on a release that would allow fox to develop an X-Men spinoff series. Not only did Marvel sign off on it, but they also posted the news on their own website. We started seeing some X-Men toys being developed. For years Marvel has been not been marketing X-Men or Fantastic Four merchandise but several X-Men figures were announced at the New York Toy Fair. The Fantastic Four movie bombed and was considered dead after a dismal box office. Regardless of what Fox may have hinted out, there will never be a Fantastic Four 2 with the cast of the recent reboot. That movie so turned off critics and fans that they will have to wait for a long time before they develop anything ever again. Last year Hugh Jackman hinted that the final Wolverine movie was going to be an adaption of the popular comic book “Old Man Logan”. “Old Man Logan” is a fan favorite and a great last story for Wolverine. The big problem is that most of the story contains characters who’s rights are held by Marvel. I figured at this point, Marvel had Fox over a barrel. The big villain in the comic book is The Hulk and fans would revolt if it was anyone other than The Hulk in an “Old Man Logan” movie. Unfortunately, filming has wrapped for “Wolverine 3” and although set photos depict an older Wolverine, you can tell that in no way is this an adaption of “Old Man Logan”. The rumor is that the movie will be called “Logan” now. “The Infinity War” comic book series. Lots and lots of heroes there. “Avengers: Infinity War” has already begun filming. If by some miracle some Fox characters appear, we better get soon news. Again, we know very little about how close this story will follow the original comic book series and which heroes will show up and how they will fit this story into one movie. My hope is that even though “Infinity War” is apparently going to be a standalone movie, it will end on a cliffhanger, leading us to believe that the “Infinity Gauntlet” story is not over yet and that the next movie will be even bigger and more epic than “Infinity War”. 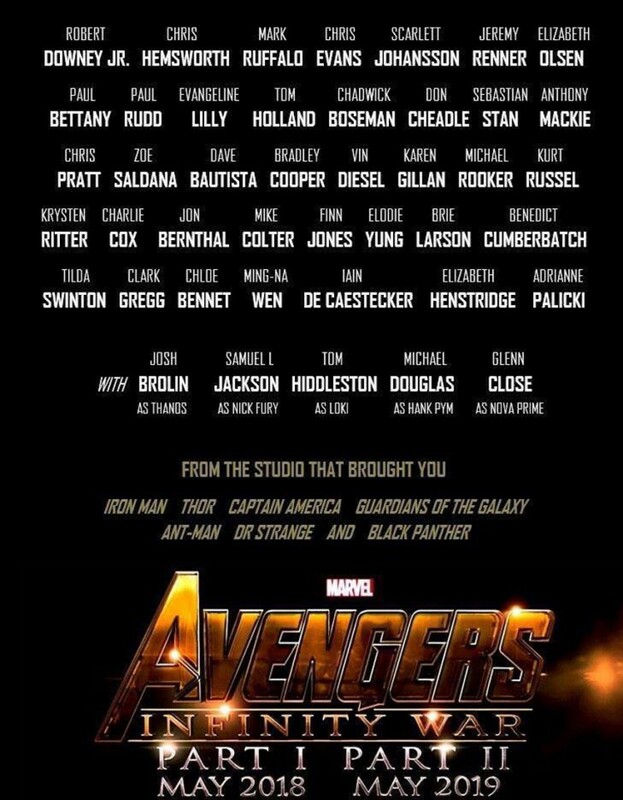 We should definitely be getting casting news next year, and I am sure we will see most, if not all, of the cast of “Avengers: Infinity War” present at next year’s D23. Didn’t think the infinity storyline was standalone just that part two is unamed for its may 2019 release? Does WDWNT using click bait headlines? Add this to running any rumor younhear on the street and WEWNT is quickly becoming the source for bogus Disney news and pointless editorials! I’ll be getting me Disney news from one of the million other sites that doesn’t feel the need to post anything just for clicks. Every site feels the need for clicks, that’s how they get revenue. The only thing that happens when you only focus on 1 kind of site is that you only ever get 1 source and 1 opinion. You may not have to agree with everything that’s posted, but it’s no reason to completely abandon a site. Here’s an idea, if you think something could be click bait. Don’t click it! @Jerry You seriously consider this to be a click bait article? 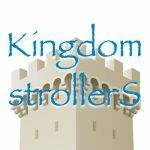 Are you new to WDWNT? You complain about how this site just spreads rumors but it is amazing how many of these rumors turn out to be true. Not only that but the very title of the rumor articles start with RUMOR, if you don’t like to read rumors then don’t click on it and don’t waste our time with your stupid complaints. Hey Jared haven’t heard from you in a while. Nice to see someone else who gets this site for its information on a positive note. tired of all the negativity from people who just don’t get it. To Joe and Tom keep up with the good work some of us enjoy the information first especially when it starts with RUMOR then turns out to be true.